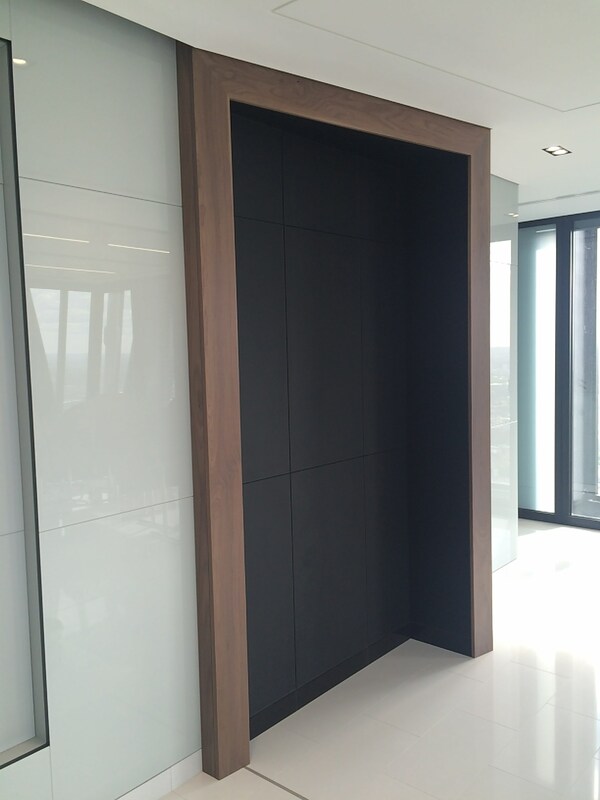 One of the largest projects undertaken, c-£300k, Martina were awarded the joinery package on this highly impressive design & build project. 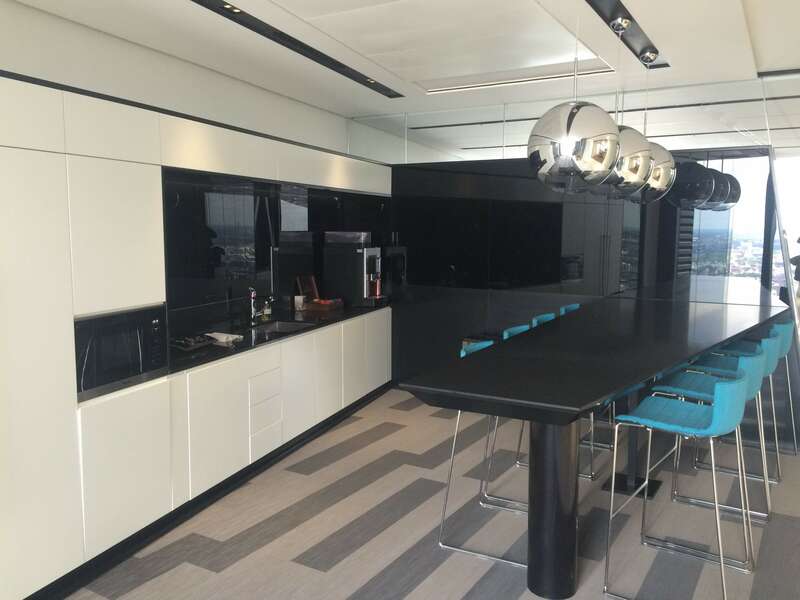 Working closely with fit-out contractors, Martina were involved from the start working with budgets and designs to meet the vision. 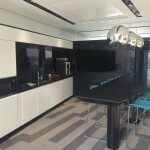 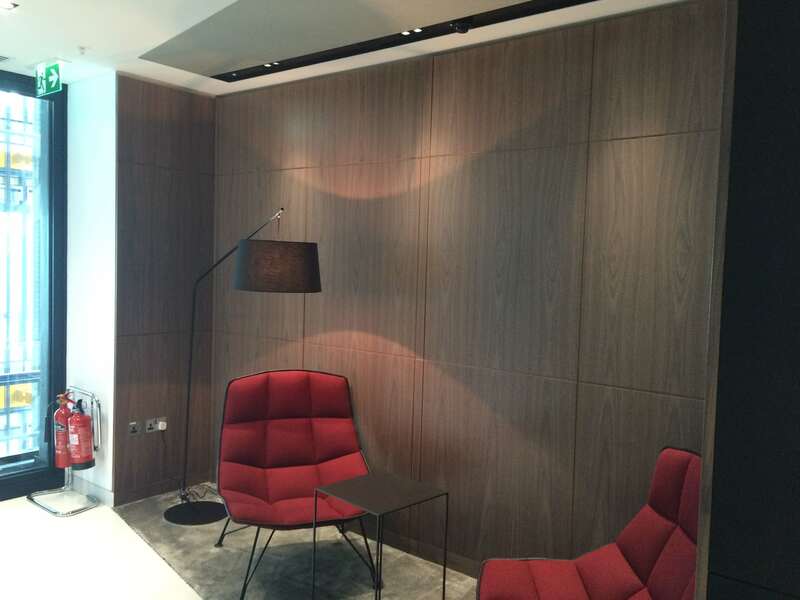 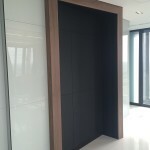 The project involved a vast array of bespoke joinery, from Teapoints, breakout areas, feature walls, back of house storage areas and a very complex and impressive reception area. 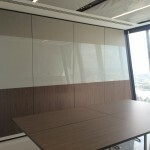 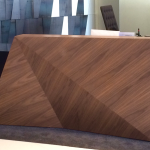 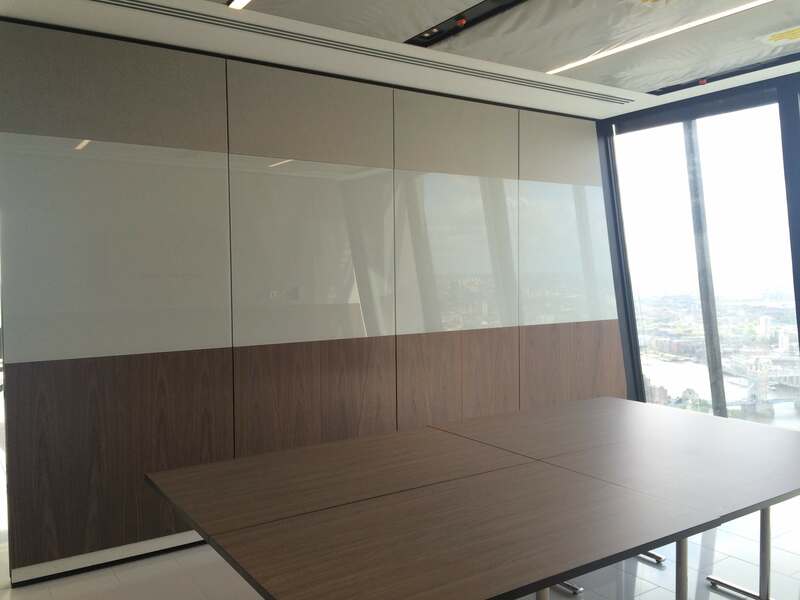 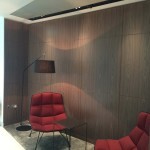 The materials used throughout the project was, walnut veneer, back painted glass, Iglass satin glass, Corian and tempered steel. 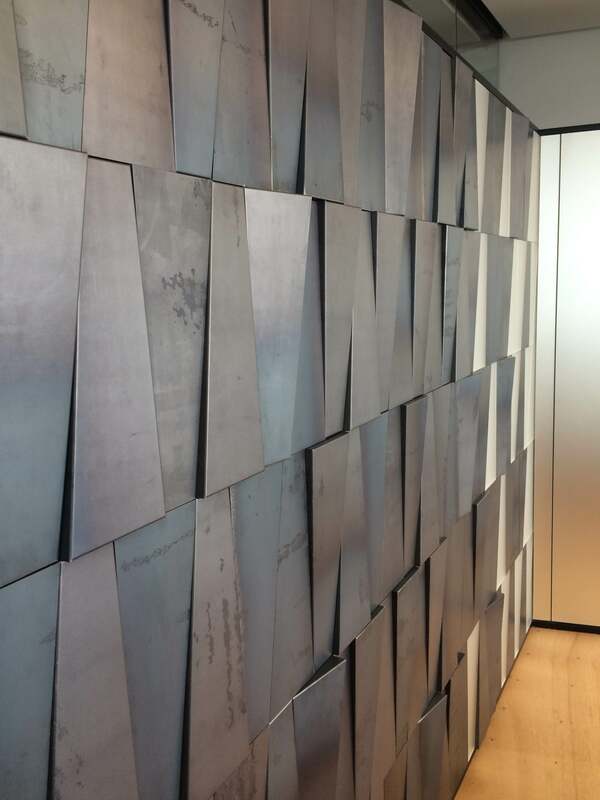 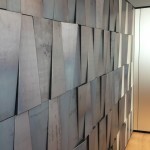 The feature Reception wall, was for us the standout piece, with an intricate design of facetted and 3D tempered steel panels. 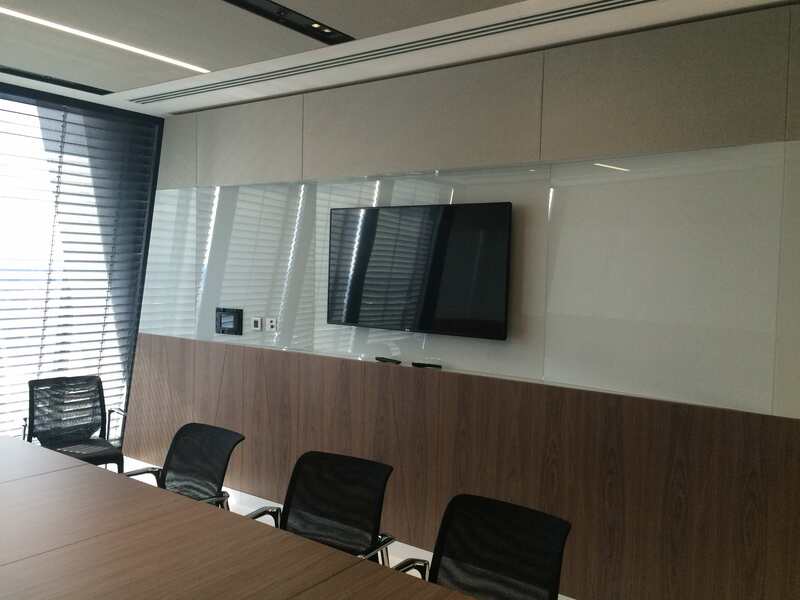 The project was complete on time and to everyone’s satisfaction.